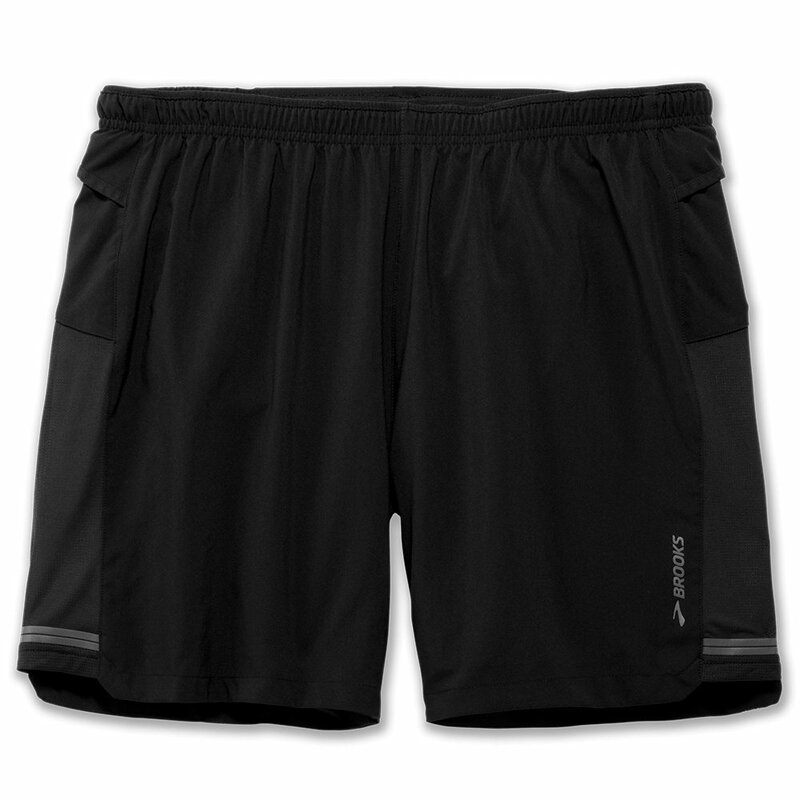 Keeping light and cool doesn't have to mean hiding your keys under a rock every time you run, the Brooks Sherpa 2-in-1 Short has a pocket for that! In fact, the Brooks Sherpa Short has pockets for almost anything you could need, including a sweatproof one that's large enough for your smartphone. They'll stay put no matter how you load them up because the elastic waistband is reinforced with an adjustable elastic drawstring. There's an integrated liner with pockets of its own too, so you can be confident everything will stay exactly where you need it to on your run.